Brave. When you hear that word, what comes to mind? Would you consider yourself a brave Mom? One of my greatest desires as a Mom is to raise godly kids. That is the reason I chose the workshop titled “Raising Heroes: Becoming Brave Moms to Godly Kids.” This was the first workshop I went to on Saturday at the Hearts at Home conference. It was led by Lee Nienhuis. Lee began her workshop by sharing that if we are going to raise heroes of faith, we need to be BRAVE. What does that look like? A brave Mom is one who believes, reflects, asks, vigilantly prays and engages. A brave Mom believes in God. She reflects that belief in her actions and words. 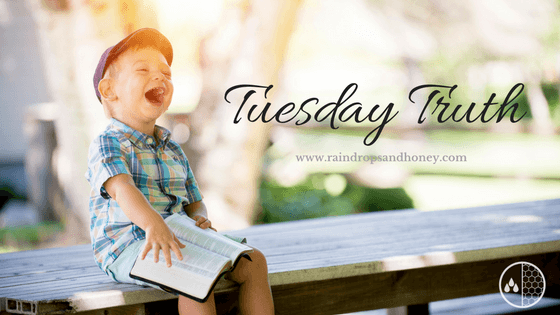 A brave Mom also models spending time with God to know Him more. A brave Mom reflects on her kid’s relationships with the Lord. She prays for their relationship with Jesus to flourish and for sin issues to be weeded out. A brave Mom asks for forgiveness. She reminds her kids that it is okay to fail and creates an environment where her kids know they can come back to. A brave Mom vigilantly prays. She helps her family create habits of prayer so that it becomes natural to turn to God first. One example of a prayer habit would be that anytime you back out of the driveway with your kids, you can pray together about your day. A brave Mom engages with her kids. She takes her role as a mother seriously and teaches her kids how to know and obey God, pray, have self-control, finds their identity in Jesus, etc. I really enjoyed this workshop! I am looking forward to reading Lee Nienhuis’ new book called Raising Heroes which is coming out in January of 2018. I’ll be sure to remind you when it gets closer to the release date. Being a Mom is hard work but it’s not a journey we have to do alone. God is with us every step of the way! He can help us to believe, reflect, ask, vigilantly pray and engage with our kids. 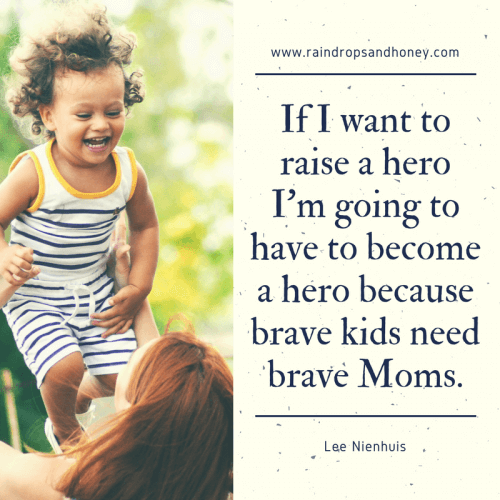 By being a BRAVE Mom, we will raise a hero of faith!